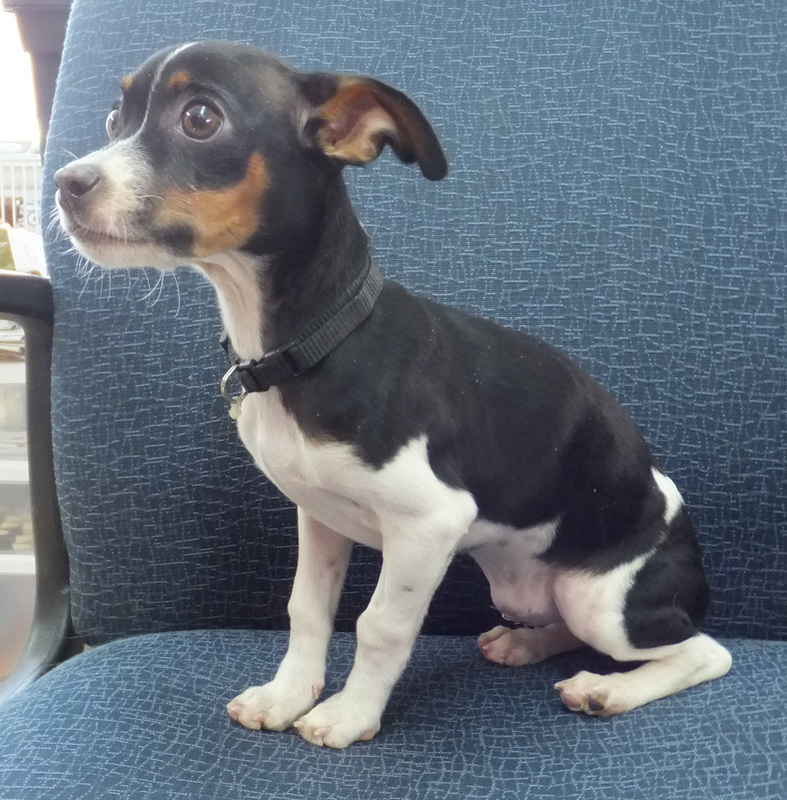 Miss Molly, 3-4 month old tri-colored chihuahua/rat terrier mix, weighs only about 6 lbs. When we first rescued her she was very timid, didn’t wag her tail or lift her head much or make a sound. We could see her backbone and ribs very well; her belly was bulging. After we have had her for almost a month now, she is eating well and wagging her tail, and we even heard her bark! We are working on her potty training, but she will go on puppy pads when kept in a restricted area. Miss Molly is vet checked, up-to-date on shots, spayed and micro-chipped. If this little cutie is just what you need, fill out an application online at www.ccilhs.org or pick one up at the building in Breese. Call 526-4500 for more information.